The former Salford City Management duo signed two-year contracts at the Swansway Chester Stadium in May 2018. Johnson 35, and Morley 34, delivered two promotions in six years at Ramsbottom, before moving to Salford City. They excelled at the Ammies, earning three promotions and guiding the club to the Vanarama National League for the 2018-19 season. 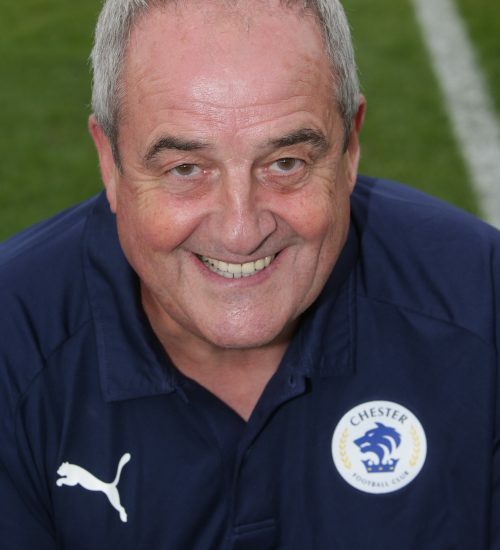 A UEFA A Licence holder, Derek followed Anthony and Bernard to the Swansway Chester Stadium in summer 2018. Egan was with the Management duo at Ramsbottom and Salford City. 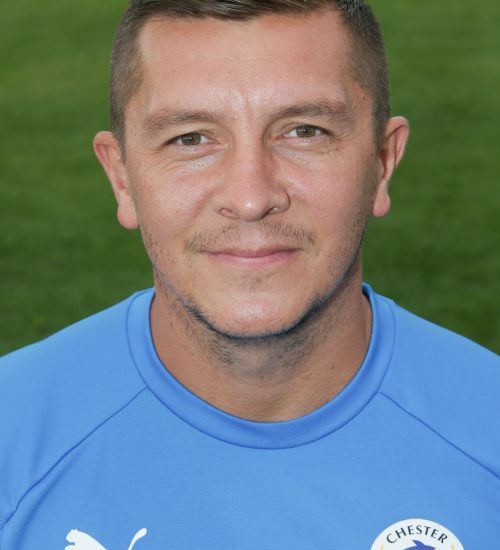 Carl arrived at the Swansway in June 2018 as Chief Scout, and is another member of the backroom staff who is well known to Johnson and Morley. Garner is known for being the scout that recommended Fleetwood Town to sign Jamie Vardy – and has a superb knowledge of non-league football. 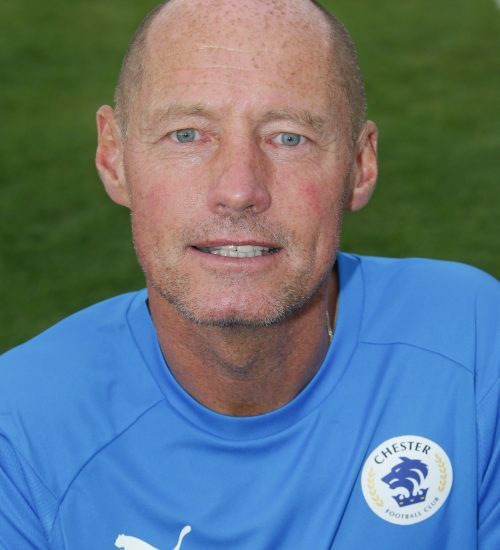 Neil joined in June 2018 alongside Carl Garner and is an ex-pro and a UEFA licenced coach – with plenty of experience in scouting the opposition. Calum holds the UEFA B License coaching qualification and has overseen the development of Academy graduates such as Sam Hughes, Tom Crawford and Matty Waters. 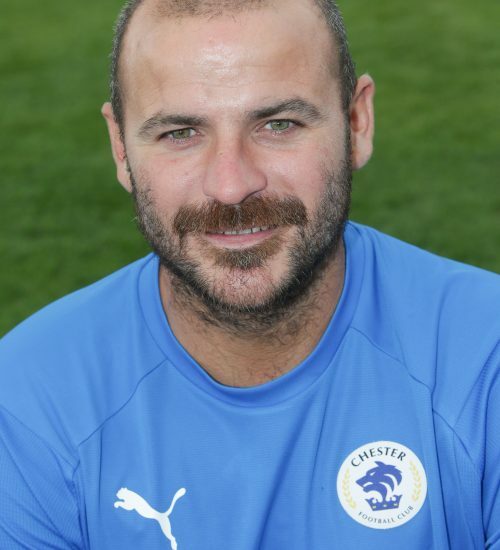 Calum is responsible for all the Academy teams at the club from Under 9s through to U18s and works directly as the club’s Youth Team manager, also overseeing the club’s scholarship programme. Calum was offered a full-time position with the club in January 2016 thanks to the sponsorship of principal Academy Sponsor Swettenham Chemists. Jimmy is the ‘Soul Man’ at the Club – being responsible for the kit at all times, and is an integral part of the management team. Jimmy is one of the most infectious characters at the club, and is a well known figure at the club since he joined the management team in 2010. Jimmy breathes each game like the rest of us!